This was a quiet episode, making it pretty difficult to make any changes at the top. 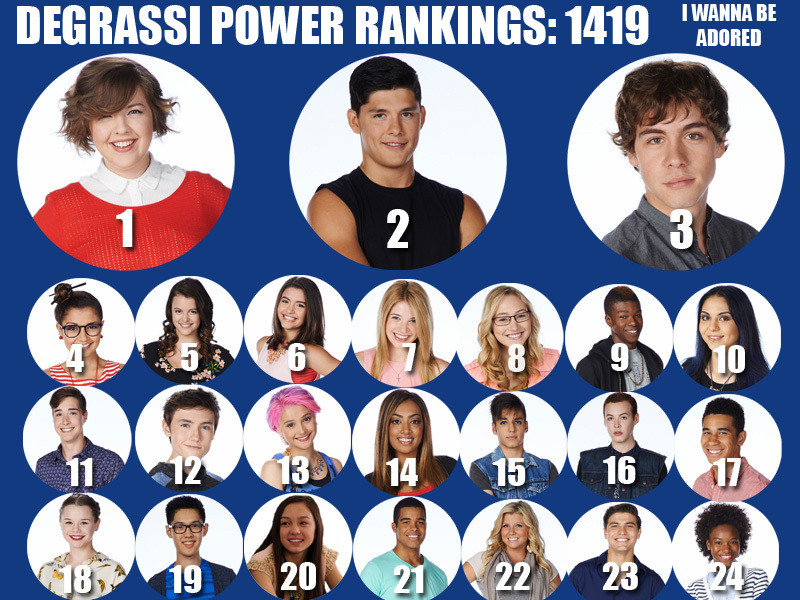 I wanted to bump Zig down some (even his social worker laughs at the idea of him moving into a drug den because of a girl), but there’s no one esle I feel comfortable with placing in the #2 spot. I’m glad to see Imogen having quickly (and silently) worked her way up the ladder. On top of me liking how she stood up for what she wanted with Jack, she’s also been playing the designated “advice giver” for multiple characters in 14B. Not really sure why a Ziles reunion looks to be around the corner, but loved Zoë as a support character here. Was anyone else amused yet also confused by what Grace was doing in this episode? She was running an electronic storage service truck, and the signs made it look legit. Tristan was actually likable for once! I hope he can return to being fun, sassy Tristan instead of angry, I-only-have-one-shot-at-love-and-if-you-ruin-it-I-will-hate-you-forever Tristan. I’ve gone from being a hopeful Drew fan to rolling my eyes every time he speaks. All he had to do was coast his way to the finish line, and now he’s become a painfully bitter jerk. I always like Drew, he reminds me of my brother. He does very well then when something bad happens all his insecurities messes with his head then does dumb stuff. Them some how bounces back but this ep really irked me. I understand why he’s upset and hurt but he’s being bitter to people that been there for him. But why is he so bitter with Eli and Clare? When he said Clare is making out with the baby daddy, threw me off. Is he angry because Eli is the dad or does he still have some feelings for Clare. I understand Becky. But weird part he wasn’t bitter like this when Bianca broke up with him. It makes me wonder if he’s just jealous that all his friends have lovers and he doesn’t. Maybe this why he wanted the Pirate theme not the romantic one. The phone storage truck is definitely a thing! I live in NYC, and on certain days, high schools would have metal detectors and on those days, students would pay to have places hold onto their phones for them, so I loved seeing Grace do it because she’s definitely the type to find a way to benefit from the cell phone ban, lol.